I’ve been absolutely impressed with all my dealings with Viking. When I first moved to NZ I visited the factory in Matamata and Stephen spent some time discussing the various options and helping me to decide on the GT. I’ve caught a ton of fish from it and never regretted the choice. I very much appreciate all your help and am looking forward to a trip to Northland next week to christen the new boat! I chose Viking Kayaks because I wanted something that could handle the Atlantic Ocean and Chesapeake Bay. 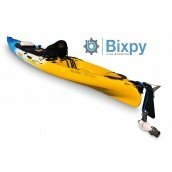 I also wanted a kayak light enough to load on top of my vehicle by myself. I wanted something fast but pretty stable that would be good to fish from. The optional kid pod which I also purchased was a selling point because I would like to bring my son or daughter out with me sometimes. 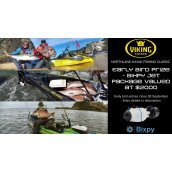 Viking Kayaks are the finest fishing kayaks on the market. They are also NZ made. The team is very helpful with any questions I have had. The 30 Year warranty says I can trust the Kayak. I was comparing two models but the Viking Profish Reload came out on top. The removable Tackle Pod holds all my fishing gear and with the fishfinder and rod holders attached I can just lift it out and take indoors with all my gear and electronics. 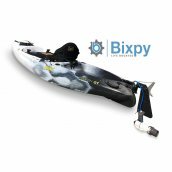 This really is a serious fishing kayak. Honestly, no bad points at all. The Viking Profish Reload is probably the best fishing kayak on the market. I absolutely love mine. It is very ergonomic/ comfortable. It is very stable and completely at home from the swell in the sea to a flat calm lake. If you take the time to organise the reload pod it is worth it. Over the past couple of decades, I've watched open-top kayaks and kayak fishing explode in popularity. 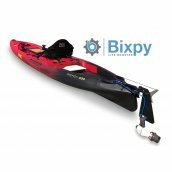 It's great, but despite many hundreds of new kayak choices these days, I've not really seen any designs that truly compelled me to seek anything different than what I already have. In fact, I think many new designs, in an effort to emphasize stability and comfort, have done so at cost of unacceptable trade-offs (e.g. wide, heavy, slow hulls; vulnerable "milk crate" storage; inconvenient hatches; limited storage for fish, gear, & rods; high freeboard & windage; poor rocker and bow design; elevated high-CG seating; etc.). Although these may work for short paddles in inland lakes & calm waters, most are contrary to the type of paddling I do & what I've learned "works" over the years. I've since spent many hours reading reviews & testimonials [about the Viking Profish Reload], looking at photos, watching videos, and studying the Reload design. I'm convinced this is the best combination of intelligent design, performance, weight, durability, convenience, seaworthiness, storage, etc.. I'm also attracted to the strong warranty (at 55 years old now, this may be my last kayak purchase). Finally, I'm also attracted to the partnering with Bixpy Jet, which appears to be the most logical and cleanest propulsion system I've seen to date. Certainly an option for hands-free fishing and an alternative to pedal drives! "Main reason is that it is a NZ company and we all know Kiwi's are the best boat builders and with a 30 year upgrade warranty how can you go wrong. 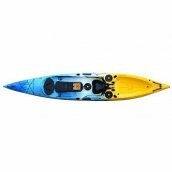 The staff were extra helpful, I honestly can't say enough, now all I need to do is stop admiring my kayak and get it wet. Team Viking again thanks. 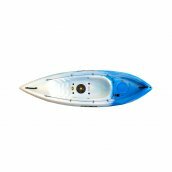 AAA+++"
"I liked the review of the GT, that it was shorter than the other profish kayaks and advertised as being very stable. On first paddle, I am very satisfied!" "Kiwi made,well thought out bombproof kayak.Excellent accessories and advice available." "Best brand. Hassle free. Easy to paddle, easy to load, resilient"
"I wanted the best quality kayak on the market but it also had to have the best designed, fit for purpose and last the test of time. Being Nz made means if I have any problems im sure Viking will be happy to help. Viking has it all! Thank you. "The reload offering a quick any easy way to setup and pack up was the winner over the stealth at this time. Being made in NZ also makes the purchase feel like it is supporting those closer to home. 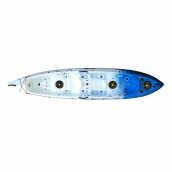 "Kiwi made, solid warranty & lighter hull. Good website too, the vid of the 2+1 got me hooked. Thanks"
"NZ made. 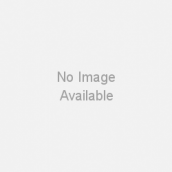 Good website for accessories and spare parts. The videos are inspiring - sell the Kiwi dream sort of thing. Didn't trust the cheaper Chinese imports - I know NZ has been making plastic kayaks (and I've been buying them) for donkeys years. I figured our technology would be some of the best. And given it's me and my kids in there, felt that NZ products would be safer and fitter for purpose." "After a year researching different brands your product stood out among the rest. With the ability to add accessories as you require them. I have just purchased the Profish Reload. What can I say, out standing!" "I spent the last 5 days at my batch and put some mileage on the Profish Reload. I'm loving it more and more each time I go out, and the rougher it is the better it is! I Went for a couple of 20km+ paddles with no seat and no foam and was comfy as. Being fresh water and an enclosed body of water the wind chop/swell on the lake is a lot shorter than the ocean. The Reload just kept on cruising happy as, and as others have pointed out it is quicker as well :) We went out for a fish on Saturday and I landed three trout, that was awesome!" "I got out for the first time yesterday and had an absolute ball. I felt at ease in my Viking Profish 400 the whole time, and even caught my first ever snapper. The Sun was setting with the horizon turning deep orange-red. The whole deal was just fantastic. Did I mention the pod of dolphins swimming by us on the way out! Within 2hrs we were enjoying fillets for dinner - just magic." "Once again thank you for the great customer support........A lot of other companies could learn from you people."